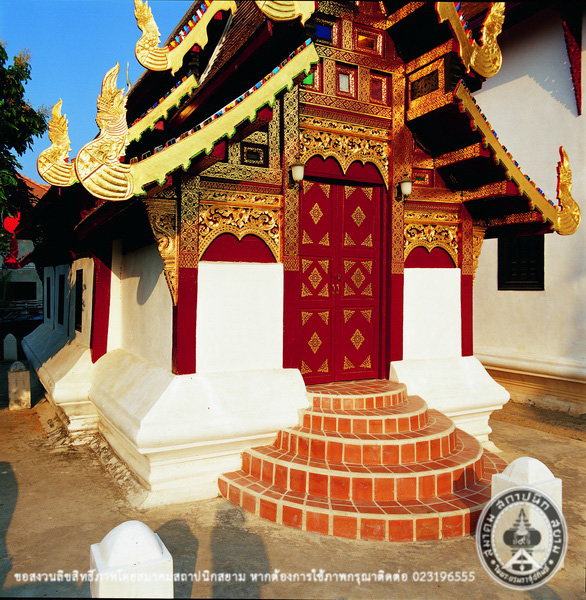 The history of this temple was not clear but is was called by several names such as Phanomdee, Udomdee, Phannomdee. In 1970 an inscription at the base of the Buddha image was discovered. 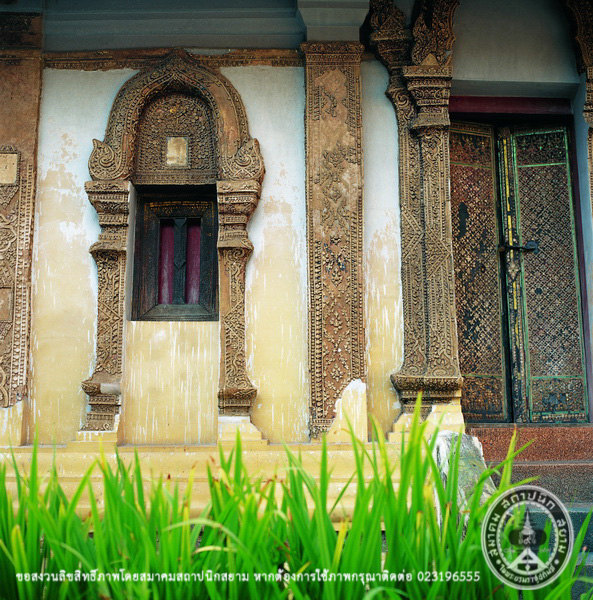 The inscription can be summarized that, once, this temple was called “Wat Ton Mak Nua” and probably built by the royalty of Chieng Mai. It is proven that Chao Chan Hom ordered to build the Vihara, but the year of the construction has not been discovered. 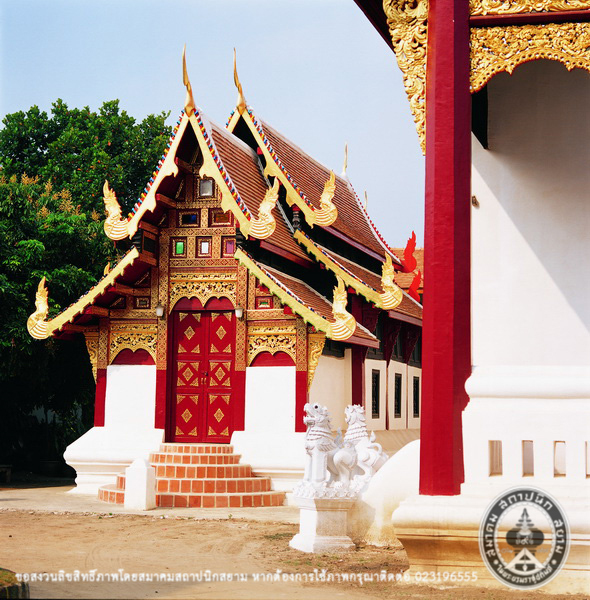 The Vihara was built in local Lanna style. In the other hand, it has been presently adapted. 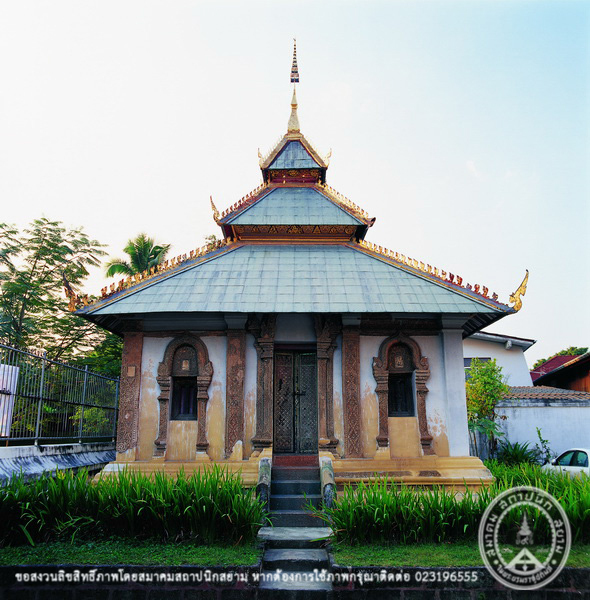 In addition to the Vihara, the ripitaka Hall was constructed by Chao Uparat Maha Wong in 1829. It is a square hall with a tower. 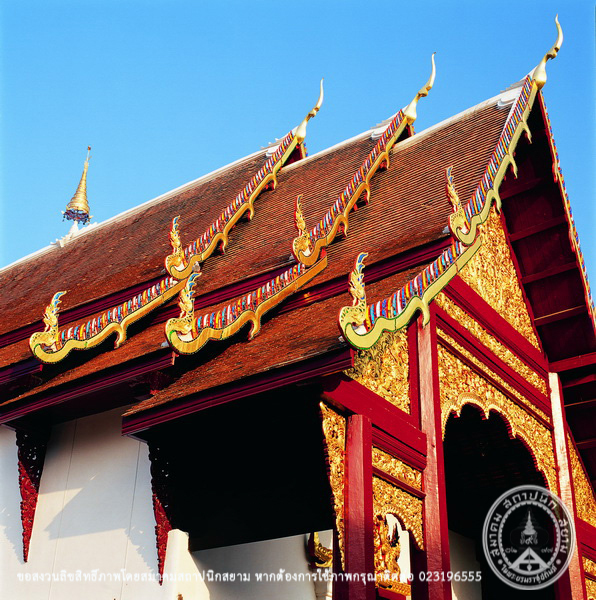 And it has 3-tiered roof and niches around the temple.